The primary interface for accessing data collected through the SONA project will be a web portal. 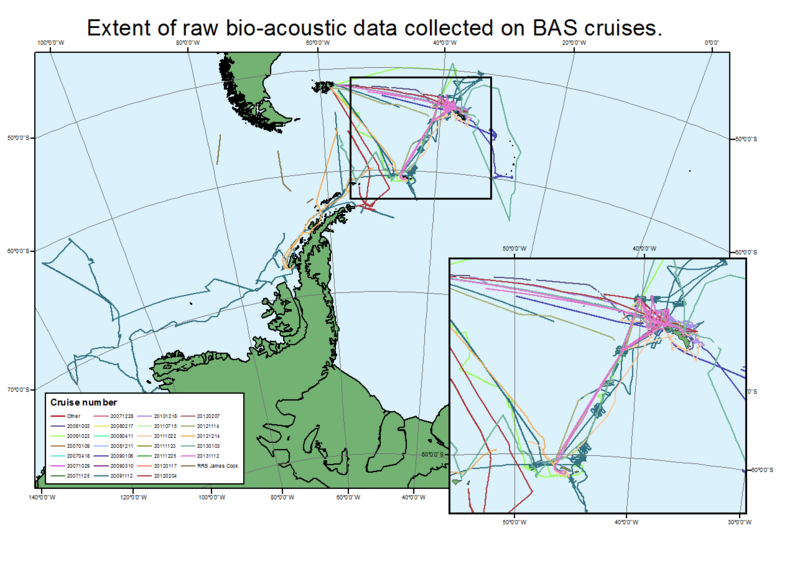 Extent of raw bio-acoustic data collected on British Antarctic Survey (BAS) cruises. 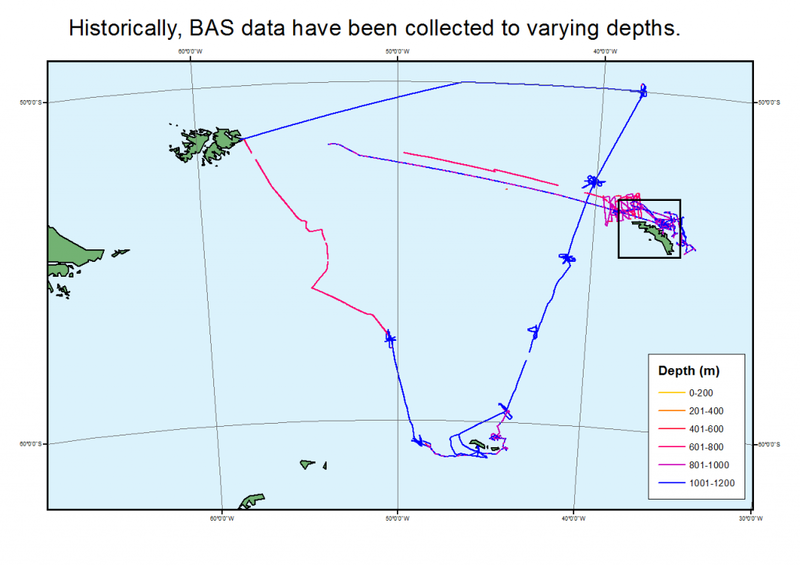 Depth of raw bio-acoustic data held by the British Antarctic Survey (BAS). 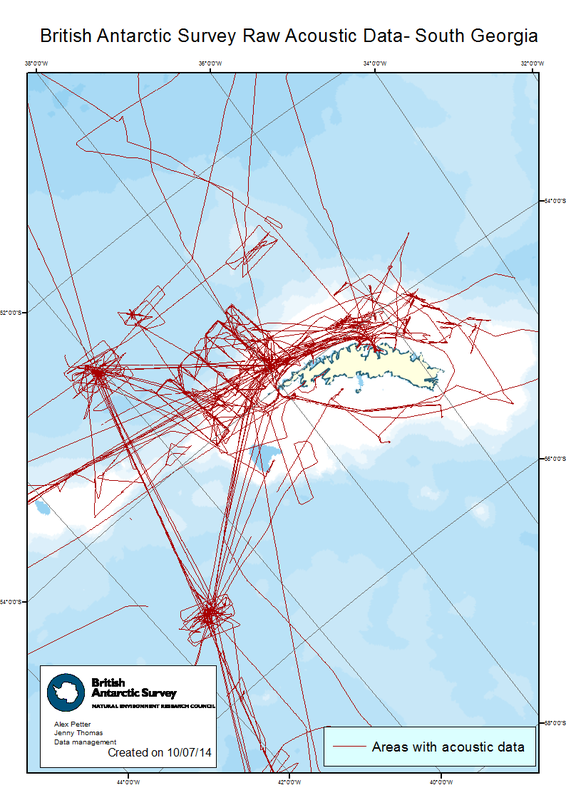 Raw acoustic data held by British Antarctic Survey (BAS). 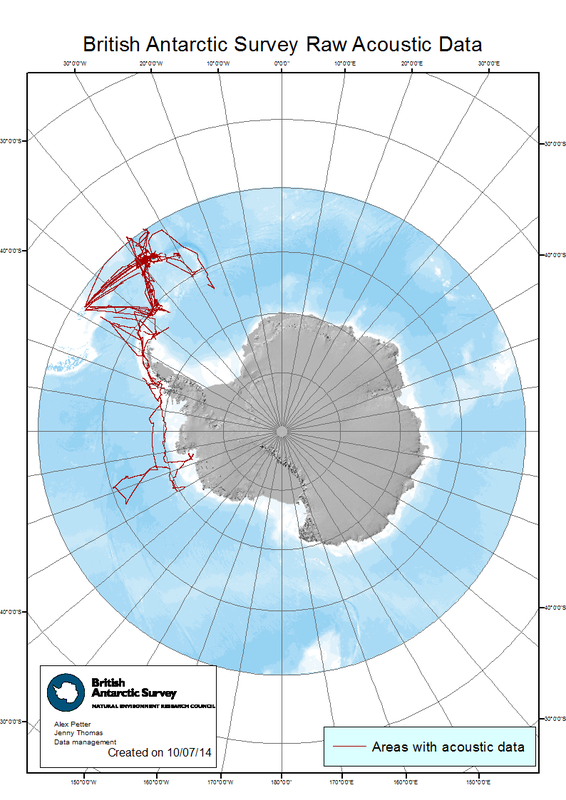 Raw acoustic data held for South Georgia by British Antarctic Survey (BAS).